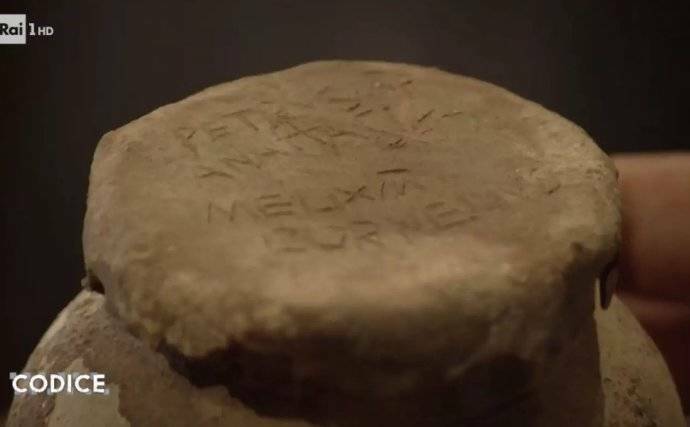 Workers at the church found clay pots containing bone fragments with the names of three popes and four early Christian martyrs inscribed on their lids. 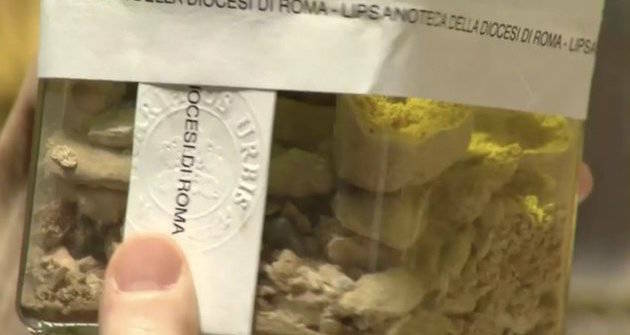 Bone fragments believed to belong to St. Peter. Workers at the Church of Santa Maria must have been shocked when they lifted a large marble slab only to find a cache of previously undiscovered bones underneath. 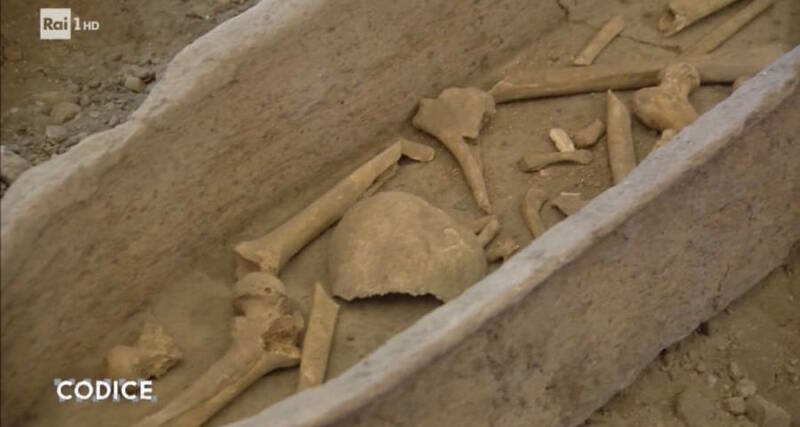 The Telegraph reports that earlier this week, workers were carrying out a routine restoration on the 1,000-year-old Church of Santa Maria in Cappella in the district of Trastevere, a medieval town on the banks of the Tiber River, when they discovered a number of clay pots with Latin inscriptions and bone fragments within. The bones were first uncovered when the workers lifted a large marble slab near the medieval altar of the church. This area of the church had been closed to the public for the last 35 years due to structural problems. The clay pots they discovered had the names of three popes and four early Christian martyrs written on their lids. This indicates that the bones are claimed to be relics taken from the bodies of these important Christian figures. One name that appeared on the lids was that of St. Peter, one of the most important people in Christian history. A clay pot with the name of St. Peter written in Latin on it. In Christian teachings, Saint Peter was one of Jesus’ twelve disciples and is considered the first pope. Though he may have been surprised to actually find these bone fragments, it had already been believed that the bones of St. Peter were interred at the Church of Santa Maria due to a stone inscription found in the church stating they had such a relic. However, until now, these bones had not been found. Now, the bone fragments will be sent to the Vatican for a detailed analysis. 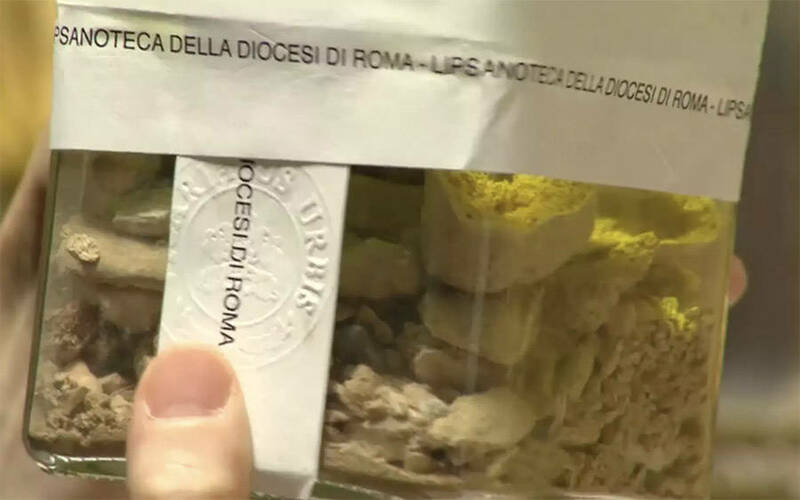 They will also use a DNA comparison to compare these bones to bone fragments of St. Peter interred at St. Peter’s Basilica. The fragments at St. Peter’s Basilica have already been tested and have been proven to belong to a man in his early sixties who lived in the first century AD. This was considered sufficient evidence for the Catholic Church to conclude that they are the bones of Peter. If these bones match up, the Church will have further evidence to prove that both relics are legitimate. If the bones do not, they will just be one more addition to the many disproven and falsified relics that have plagued the Church for hundreds of years. Next, read about how scientists have uncovered the modern descendants of the biblical Canaanites. Then, learn about the craziest popes in the history of the Catholic Church.